In this episode you will hear about $1.2B scam bust by the Feds, also you will learn about Nash, what it is, signs, symptoms and treatments. You'll hear Pastor Ken Simmons keep it real with Inspirational and Motivational word to keep you going. This is an Inspirational Word to get you through your day. In this episode you'll hear the statistics regarding those who are living with HIV/Aids in the U.S. and Globally especially in Sub-Saharan Africa. You will also hear about the proposed health care cuts to Medicare and Medicaid. In this episode you will be surprised of what these two illnesses have in common. You will also hear a case study journal publish in the NIH (National Institutes Of Health ). Coming up this Friday 2 part series. It's Inspirational and Motivational Tuesday with Pastor Raymond Collins of Houston, TX. In this episode you'll hear about what leukopenia is, the signs and symptoms and how it is diagnosed. You'll also hear about a research study regarding cytopenia amongst individuals diagnosed with lupus which was reported in Lupus News Today. This episode is intended to give you a word of inspiration that will motivate you throughout the week. In this episode I will talk about the Oak Park, Michigan Doctor and Son who were raided on Tuesday. And I will also explain what Step - Therapy really is. Follow me on Twitter, and IG My Story Living with Lupus. Also visit our website. We all go through situations in life, but how we react to those situations can truly determine the out come. You'll hear not only an Inspirational word but a motivational word of hope with Pastor Ken Simmons of Merriville, Indiana. In this episode you'll hear about the what exactly is hemolytic anemia, signs, symptoms and treatment for those of us with lupus. So you know what to do. In this episode you'll hear about the differences in symptoms, pain, causes and treatment. You will learn about CRPS and what it is. Also listen closely because I'm doing a giveaway. Episode 50 Cardiac Catheterization What Is It? In this episode you'll hear about the signs, symptoms, causes and coping strategies for dealing with Lupus Brain Fog. You'll hear about two women who have become authors despite of living with lupus. You'll hear email responses and you'll hear about the Most Common Misconception about Lupus. In this episode you'll hear about why Gabapentin has become a controlled substance in Michigan. You will also hear about the similarities and differences of lyme disease and lupus. You will hear uplifting and Inspirational gospel music from various artists. ENJOY! You will hear research findings/ statistic on Opioid Use and Death in Chronic Pain Patients with Systemic Lupus Erythematosus . You will also hear an interview on Racial bias in treatment in pain patients. In this episode, you will here facts and Statistics regarding the Opioid Epidemic. This is Part 1 of a 2 part episode. Music from a variety of gospel singers. Call in from Author Henery Long, and my response. 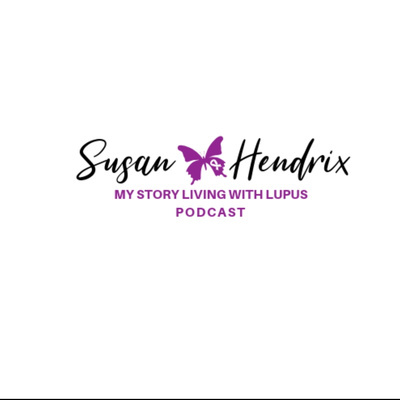 In this episode I discuss Alternative Treament for Pain Management that is less harmful to the body of lupus patients. In this episode you'll hear about how lupus affects the kidneys and the stages of chronic kidney disease. Also you'll hear about a lupus warrior who is in need of a kidney donor. Inspirational Gospel Music to uplift your soul. Interview with Executive Director Scott Bruun of the Chronic Disease Coalition HQ. In this episode I provide the listner with their rights as a patient. In the second half of the podcast Michelle Hudson tells her story of Living with Lupus. Inspirational gospel music from various artists. What if talks about two different situations regarding medical care and treatments. What If It Happened To You? I'll discuss how to live a new normal with a chronic illness. You will hear inspirational music from various artists. You will hear the inspirational music of various artists. You will hear excerpts from Author Henery Long book Positive Energy 247. You will also hear the music of Tuskegee University Alum Granddaddy OG. Conversation with my doctor regarding communicating better with lupus patients. Episode 20 If You Dont Know Wher You Come From, How Do You Know Where Your Going? I pose the question "Do You Want To Make It? You will hear a variety of inspirational gospel music. 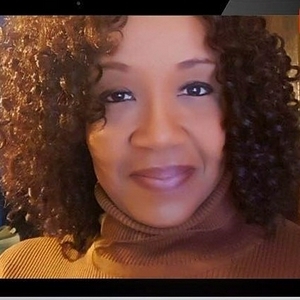 Tomaka Monique Lewis-Cooper tells her story of Living with lupus. I'm talking about Brett Kavanaugh and the importance of getting out to vote in November. In this episode you will hear statistics on the Native American Population Dealing With Lupus. The forgotten population, I'll be discussing the challenges in lupus that Native Americans face. In This episode you will hear about what ANA testing entails and why it is performed. You will also hear about the acronym SOAP and what it stands for. In this episode I will inform you on the 11 SLE criteria when dealing with lupus. You will hear from Delebra Hudson on living her life with lupus. Episode 6 The Day My Heart Stopped. Episode 6 is dedicated to Wanda Allen who gained her Angel Wings. Also you will hear about how heart disease is a major complication of lupus. You will also hear about the day my heart stopped November 2014. Please help bring Awareness to this Chronic Disease Called Lupus, we are in need of further funding for research for a cure. In this episode you will hear about how Abundant Harvest Aquaponics is providing organic produce to the community and schools. You will also learn how I changed my eating habits after being on Prednisone, and what chemicals are placed in foods, along with the use of antibiotics to make livestock grow bigger. Remember dont Live to Eat instead Eat to Live, your body is a Temple. In this episode I will be discussing the cost of treating an individual with lupus. The impact that this chronic illness causes and one of my experiences of being admitted into the hospital. In this episode you will hear about my family's reaction to my lupus diagnosis. In this episode I will explain how I had to find the right doctor to help control the symptoms of lupus. You will also find out why I keep my illness from my family and when they were finally informed about my illness.